$1.79 to $59.99 & FREE Shipping on orders over $59 $35. 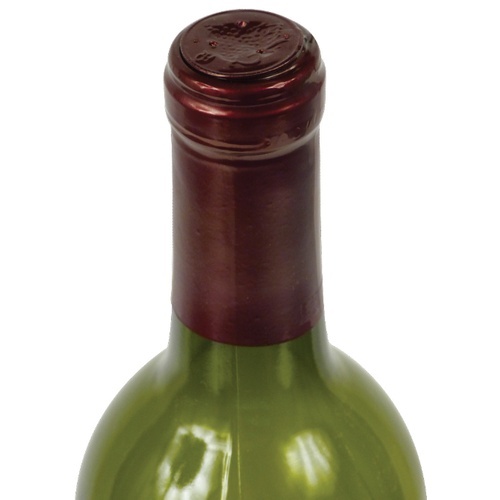 These PVC heat shrink capsules help to make your home made wine look classy and professional. The look is the closest we have seen to commercially used tin capsules, which must be spun on with a $2,000 machine. Conversely, these PVC capsules can be easily used at home. Features horizontal tear tab. To use, slide on to top of wine bottle and dip into hot water for a quick and even shrink. Or for faster processing with a more reliable finish try one of our Heat Shrink tools. 2 1/4" Height x 1 1/4" Diameter. Have used these before and they give an nice look.